Mediterranean dried fruits, Israeli couscous and Alexandra&apos;s Moroccan spices make an exciting gourmet meal on its own or with chicken, meat or fish. Just add water. Ready in 15 minutes. 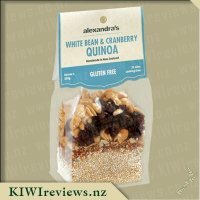 I have been lucky enough to try other Alexandra products so knew by trying this product there was a good chance that it was going to be enjoyed by all the family. The kids call couscous pasta balls which is great as they like pasta and it is exactly what couscous is. Once again this came in a packet that can be fully recycled and you could see the contents inside - all the spices, couscous, apricots and currants. 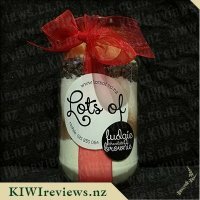 I whizzed it up, like all Alexandra&apos;s products I have found them easy to prepare. By adding some water, oil and salt this was ready in 15 minutes. I am not normally one to put dried fruit in my savoury cooking so was keen to see how this would go with chicken and vegetables as a meal. It was a great combination. The sweetness of the apricots and currants worked well with the chicken which I had not added any flavouring to. 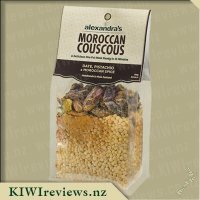 I found the spice flavour not to be as strong as the other Moroccan spice couscous I have tried in this range which I feel is great as wold go with many combinations of food. I really love these products and enjoy having them in the pantry to make dinner times a little different. They are quick and easy which is a definite plus for a busy mum. Although a little more expensive than what I would normally like to pay the convenience makes up for it. Couscous is a side dish that most of my house likes. My eldest loves it, but my youngest doesn&apos;t really like the texture. Still 75% of us is good odds for any food item in our house. I love this range because the instructions are super simple, you don&apos;t really need much more to make the item than what is in the packet. Following the instructions I heated some olive oil in a pot and then poured the packet into the pot and coated the mixture with the oil. This was then boiled in water. This is a little different to how we usually cook our couscous. It&apos;s generally microwaved with water and oil. Then finished with some butter. I guess the main difference is the heating method. Once the couscous was cooked, I served it with some roasted chicken pieces and some greens. The texture of the couscous was different to what we are use to as well. It was bigger and softer than our usual. My youngest wouldn&apos;t try it, and my eldest was not okay with the difference. But my husband and I really enjoyed it. He is a fan of apricot with chicken and the whole meal was a success for him and I. As the kids were not as fussed, there was plenty of left overs. I had left over couscous for lunch the next day. 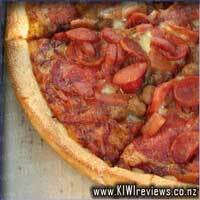 It was pretty easy to re-heat and I found it just as appealing flavour-wise. While the kids might not have liked this, I know exactly what I will be buying for when they are away at Nana&apos;s from now on. That&apos;s the week we enjoy things like steak and other more adult meals that they won&apos;t eat. I was most excited to see this beautiful bag of couscous amongst my review goodies I received. 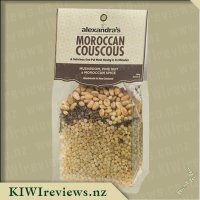 Apricot is one of my flavorings and it is also always a winner with the rest of my families so to receive a bag of Alexandra&apos;s Moroccan Couscous in Apricot, Currant and Moroccan Spice flavour was perfect. Right from the start this looked to be a very gourmet product which was beautifully presented, I loved the way in which the ingredients are packed into a clear bag and layered in such a way that you can see exactly what you are getting, there looked to be a very generous amount of couscous and just enough chopped up dried apricots and currants, there also appeared to be a little sprinkle of what seemed to be the Moroccan spices. The label was very eye-catching with bright orange writing and also a bright orange section at the bottom of it, perfect for standing out on a supermarket shelf. In my house we eat a lot of couscous, rice and pasta as side dishes and although I hadn&apos;t tried Israeli couscous before I was keen to cook it up as I was sure it would be delicious. The couscous was easy to prepare, simply add some olive oil to a pot , tip in the contents of the bag and then add two cups of hot water. Wait for it to boil and simmer for seven minutes stirring occasionally not hard at all. The flavours smelt amazing as they cooked you could certainly smell the Moroccan spices and I have to say that the currants and apricots were plenty and once cooked looked to be a lot more than I initially thought there would be! After the recommended cooking time the couscous was tender and well cooked and I thought it tasted wonderful served with my apricot chicken that I had done, the fruit were lovely and juicy and the couscous flavorful, though the larger size of the Israeli couscous did take a while for me to get used to eating due to the difference of the texture compared to my usual couscous, however Miss 3 and my partner unfortunately didn&apos;t share my taste buds on this product and were put off by the large balls of couscous, though my partner did say he liked the flavors together. My only other issue I had with the couscous was that it stuck rather badly to my pot, though I would say this is my fault rather than anything to do with the product. 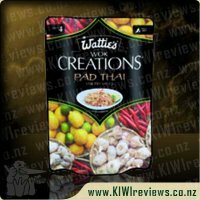 In my opinion this was a tasty product full of flavour and took quality ingredients and it is something I would buy again if I was to have visitors over for dinner! An amazing product which I will be recommending to everyone I know who enjoys couscous. 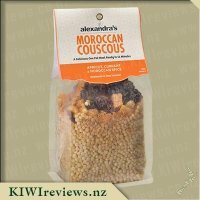 I was super excited to be given the chance to try the Alexandra Moroccan couscous with apricots and currents. 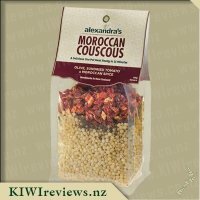 I&apos;ve tried plain couscous before but never knew what flavours to add, so this is awesome as everything is already packed for you - it couldn&apos;t be easier. The packaging is bright and easy to read and makes the product look high quality. My workmates saw me get this and it was decided (mainly by them) that I was to cook it up at work, I went along with my camping cooker and a pot the following day. This was super easy to make - the instructions said to use oil but I used butter instead as that&apos;s all there was in work fridge. I added hot water from the zip and it was done, I could just sit back and let it cook. There was enough for four of my workmates to try and they were all pleasantly surprised and raved about it. I really loved this product. The apricots made it taste sweet and the Moroccan spices weren&apos;t overpowering. The Israeli couscous was delicious - it was the first time I had tried that type. 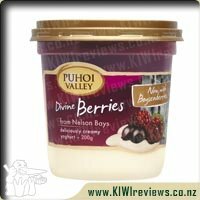 I would definitely buy this if I can find it at the supermarket. It would be an awesome pantry filler for those nights you can&apos;t find anything else and also for our camping trips. This would be awesome to jazz up the same old camping food. 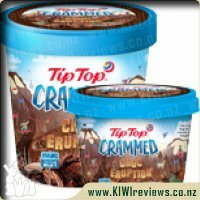 Definitely a product to try - can&apos;t wait to try the other flavours. I&apos;m a fan of regular couscous but haven&apos;t had a chance to try Israeli couscous (being the larger balls that this couscous is), and my first experience with this product was a fantastic start. My husband has tried Israeli couscous before but didn&apos;t like it, but I&apos;ll also state up front that this experience has turned his opinion right around - he really loved this! This product was so easy to make up, with everything in the one bag. 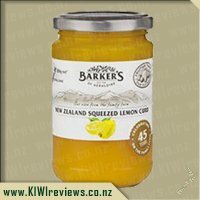 It suggests stirring butter or oil through at the end of cooking, and I went with the butter option and I have to highly recommend the flavour this added. 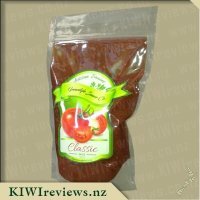 I was pleasantly surprised at the amount of apricots and currants in the final cooked product - it doesn&apos;t look much in the packet, but it ended up to be heaps - especially the apricots, and it went with everything perfectly. I noticed the Moroccan spice wasn&apos;t strong - more of a slight hint of it, but I actually quite liked it this way as it made it quite versatile of what to serve it with. I made lamb meatballs but next time I&apos;d really up the spice levels of the meatballs to compensate for less flavour in the couscous. This suggests to serve four and that&apos;s about right as a side serving as this stuff is nice and filling. We ate it warm the first night, but I took some cold for lunch the next day and I felt the flavours, although still subtle, had developed further and it was really nice just on it&apos;s own. I am now an Israeli couscous convert and I don&apos;t think the price of this is too unrealistic for the amount it makes and how easy it is. I&apos;d rather buy convenience meals such as this which are healthy and without additives, than packet food or takeaways. 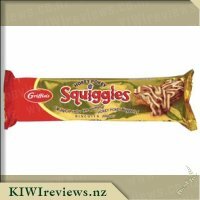 I&apos;m going to look out for these at my next supermarket trip - I&apos;m sold! This is my first experience cooking and eating Couscous and I have to say it has been a fantastic experience. First of all it is so simple to cook, the packet has everything that you require and it presentation wise it looks so yummy. Instructions are simple heat 2 tablespoons of olive oil in a pan add the couscous, followed by two cups boiling water with a pinch of salt and cover. Bring to boil then simmer for seven minutes and then remove from heat and let sit for a further seven minutes. Seriously what could be simpler. I had cooked pork chops in the slow cooker using Scrumpy Cider with Lemon and added some garlic with a tad of ginger and the flavours together were absolutely sensational. The Couscous was so light and fluffy and the added flavour of Apricots and Currants just tipped it perfectly. It was definitely a hit in the house and one we will be having again in the not so distant future. I love that there was more than enough for the four of us and the flavour is something that could be used in so many dishes. 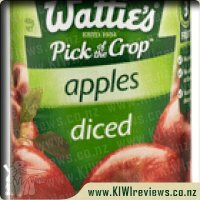 A great side dish that can be ready to be eaten in less then twenty minutes it is fantastic value for me as with two kids always on the go just makes life that much more simpler and the added plus of being really yummy. Also with no artificial flavours or colours just makes it seem that much healthier. Definitely a winner in my books. 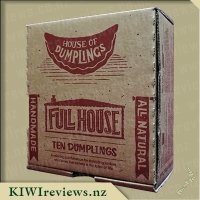 A selection of our most popular dumpling flavours, all wrapped up in a nice little package.